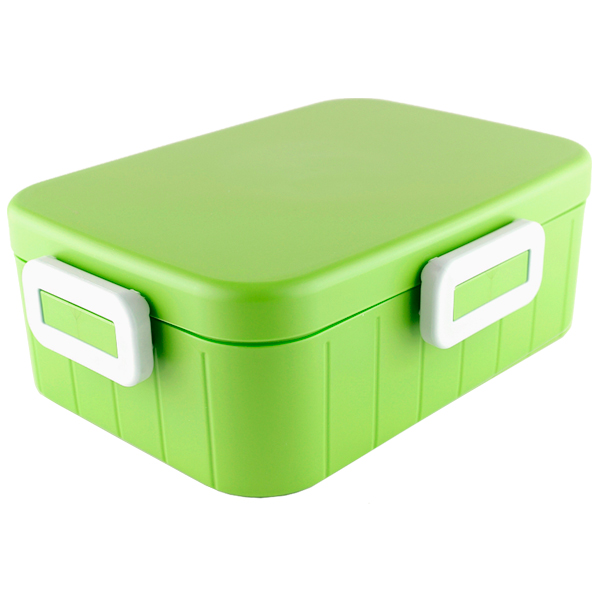 This 4 Lock Modern Japanese Lunch Box use a four-hinge design that makes them leak-proof, airtight, and easy to open and close. 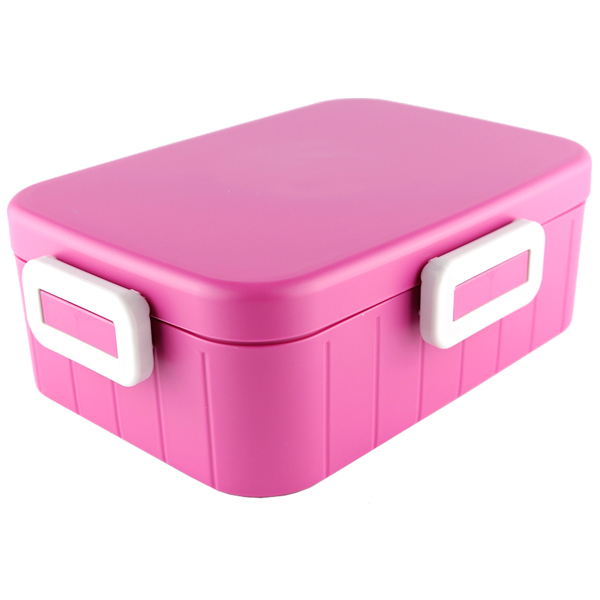 The innovative locking design is easy to use and ergonomic, so people of all ages can open and close the lids. 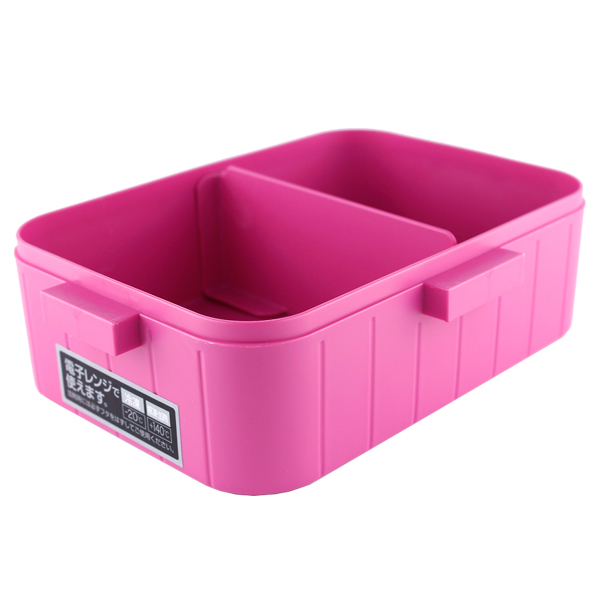 Polypropylene (PP) lid, container, divider and stopper is durable and stain-resistant plus microwave, dishwasher and freezer safe. Sturdy and reusable, the containers are of much heavier quality than similar'buy and toss' products, and leak-proof food container is the perfect waste-free solution - you won't need to waste more expensive plastic snack and sandwich baggies or aluminum foil. Dimensions of the box: 14.0 cm wide x 19.1 cm long x 6.3 cm high (5.51" x 7.52" x 2.48"). 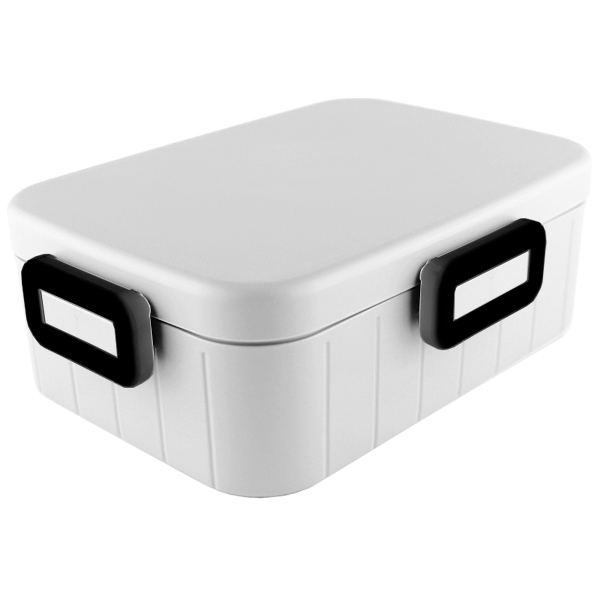 The lid, container, divider and stopper made of Polypropylene (PP) (recyclable and has the number "5" as its resin identification code) plastic (safe temperature range: -20°C to 140°C (-4°F to 284°F)) and packing made of Silicone (safe temperature range: -20°C to 140°C (-4°F to 284°F)). When heating in microwave, please remove the lid. Do not microwave without content. Only for radio heating. Do not use with fire, Oven or grill pan. For hand wash, wash with mild detergent with sponge or soft cloth. Do not use when scratch, crack, chipping is found. Do not brush with scrubber, polishing powder. Do not close the lid while the contant is hot. Cool the containt before close the lid. Please do not use alkaline detergent or orange-oil detergent to avoid printing removal, or color shade. Do not boil up the container. It may cause deformation. Do not lay on its side. It may cause leakage.